Sometimes, when you are carving a doll, you will start with one thought in mind. But, there are times when it becomes clear that the doll wants to be something else entirely. This just happened to me when I was carving a very small doll. My grandson is five and he thinks babies are sublime, so he asked me to carve a baby doll. but soon, it became clear that it was a tiny Lady Gnome who wanted to be released from the wood…. Well, that is a Bessie for you! Life of the party and knows just who she is. Bessie or Bess was my Grandma’s name so one of my favorites. Love this and love seeing your process. Thanks! That delights me! Thank you so much, Mountainweaver! 🙂 And, hurrah for ALL the Bess/Bessies! They make life so sweet! A cutie pie! Will you have to carve another baby for your grandson? What a joyful little wonder your Bessie is! And how intuitive and creative your little grandson is to know that there was a baby inside that piece of wood! Bessie showed me that the size that I love carving the most is around 3 to 4 inches 🙂 And, I am so grateful to our Little Guy, as he is constantly showing me new wonders. 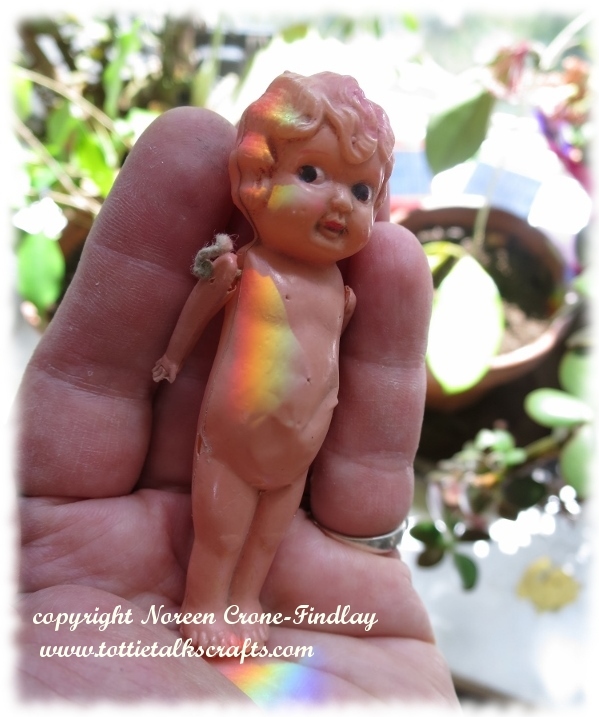 I have been in love with this little celluloid doll and her slightly larger sister all my life. They were my mother’s when she was little, so they are reaaaaaaaaaaaaaaaaally old! She kept them in a matchbox along with the clothes that she had sewn for them when she was a tiny girl. I treasure them beyond words. 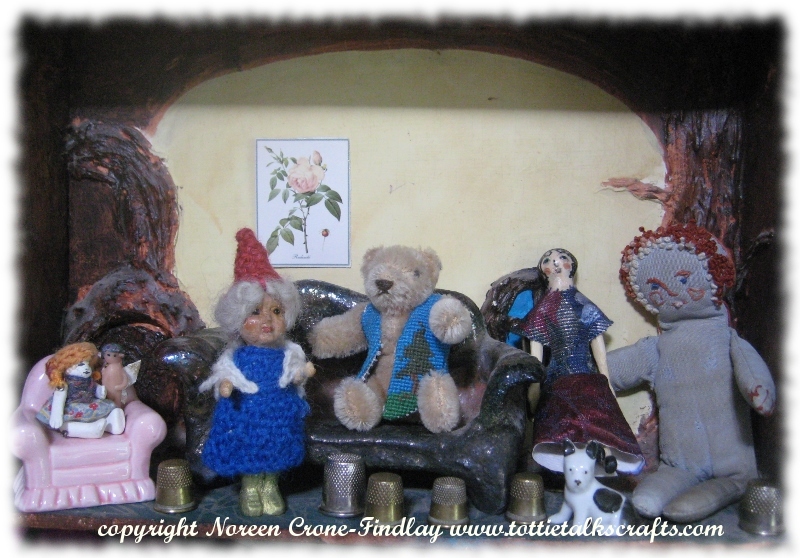 Bessie is exquisite, what fun she will have with her lovely little friends. We all need our dolls.